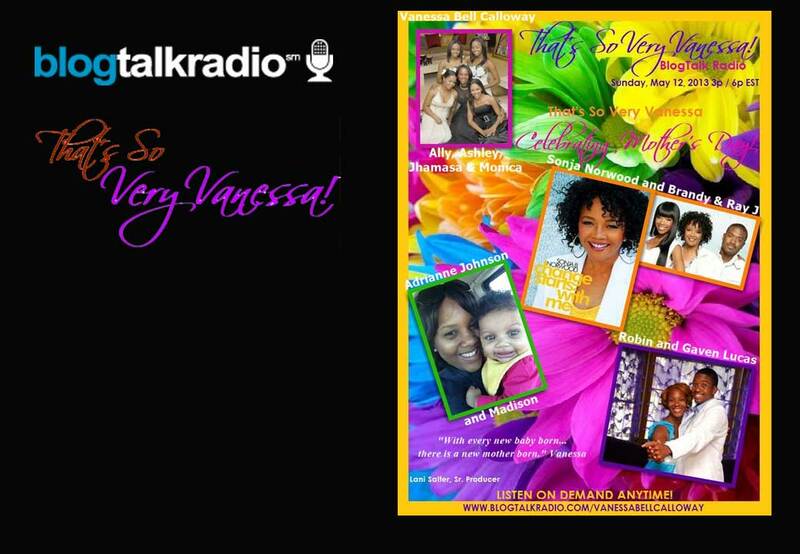 I’m celebrating Mother’s Day tomorrow on That’s So Very Vanessa! BlogTalk Radio with one of Hollywood’s most awesome manager-moms, Sonja Norwood, mother of two of Hollywood’s favorites, Brandy and Ray J. New mom, Adrianne Johnson, mother of four-month old Madison, and one of my BFFs, Robin Lucas, mother of son, Gaven will also be featured on the show.